The Dark Knight. The Man of Steel. The two biggest icons of comic history finally share the screen after decades of separation. 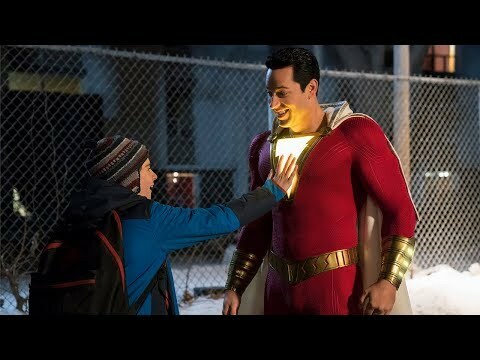 In attempts to follow in Marvel’s footsteps with their own cinematic universe, Warner Brothers and DC have released their second film in their young universe. Can they catch up to Marvel with just one film or will it all fall apart? It's been two years since Superman's (Henry Cavill) devastating battle with Zod (Michael Shannon) throughout the city of Metropolis. The loss of life and collateral damage left many feeling angry, including crime-fighting billionaire Bruce Wayne (Ben Affleck). Convinced that Superman is now a threat to humanity, Batman embarks on a personal vendetta to end his time on Earth before it really begins, while the conniving Lex Luthor (Jesse Eisenberg) launches his own crusade against the Son of Krypton. 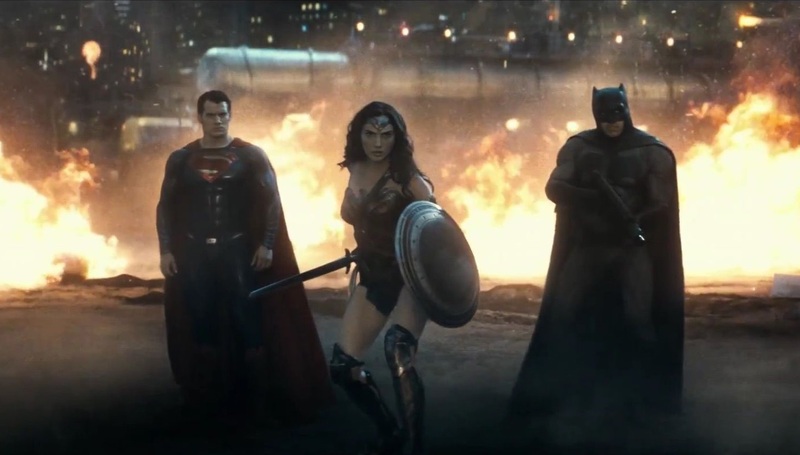 If asked to describe Batman v Superman in one word it wouldn’t even be a word exactly, but rather a sound: ugh. It’s not that Dawn of Justice is a dreadful affair by any means but the complete lack of focus and over stuffed plot runs thin towards the end of the two and a half hour runtime. The performances as a whole are pretty solid all around. Henry Cavill doesn’t bring anything too unique to Superman but he is passable. 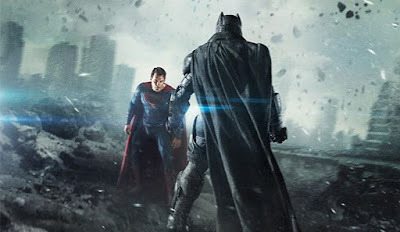 But the standouts are the new Batman/Alfred combination of Ben Affleck and Jeremy Irons. Despite one pretty major flaw, the duo feels real and has great chemistry together, almost as if they have been doing this for twenty years. The real surprise of it all came from Gal Gadot who held her own, despite having little development, as the Amazonian warrior Wonder Woman. The only truly awful performance was the unhinged and poorly cast Jesse Eisenberg. Doubted from the beginning, Eisenberg proved everyone right with a strange performance, channeling his inner Riddler rather than the much more intimidating Lex Luthor. The biggest lesson from the two films in the DC Extended Universe, as it’s been titled, is that Zack Snyder is not the man for the job. With a chance at redemption here Snyder completely misses with his style over substance approach drowning out anything worthwhile. The first hour of this film, perhaps hour and a half, is so boring and headache inducing that it’s a wonder why they ever titled it Batman v Superman. The editing may be at fault here as it jumps from character to character with little work put into establishing what is actually occurring. The film is filled with moments that I call “eye-roll moments”. The amount that the writers think they can get away with is ridiculous at times, including what was basically a five-minute trailer for the next few years in the middle of the third act. Beyond the overblown setting up of a universe, the script thinks it can get away with a huge shock at the end that you’d have to be a fool to believe. So what did you think of Batman v Superman: Dawn of Justice? Have you seen it and who would you chose Batman or Superman? Share, comment below, and as always remember to return to I Am Sam for weekly reviews and insight.